* Brand new RenderKraft plug-in for Maya with encrypted SFTP file sync and job submit. * On-demand VFX services offering Compositing of rendered images as well as Matchmoving/3D/2D Tracking, Mattepainting and CG/rendering. * Maya plug-in allowing full 24/7 automated hazzle free submit of V-ray jobs. * Irradiance Map prepass on farm, both still images and animations. * Flat EUR 17/h (EUR 400/day) price model, no complicated pre paid packages or mass discounts. * SFTP is now standard for file transfers. * Compositing; on-demand final compositing of rendered images, rotoscoping, keying, paint and cleanup in Nuke. * Matchmoving; camera and object tracking in PFTrack. * Matte Painting; artworks in Photoshop. * CG; full 3D pipeline including previz, concepts, modeling, rigging, animation, texturing, shading, lighting and rendering (V-ray,Arnold,RedShift) in Maya. * Co-production/commercials; funding, planning and producing film. * Green screen studio; our friends at Stiller Studios provide a fully equipped green screen studio with Motion Control and Motion Capture at its best. * Consulting; In Gothenburg and Stockholm area we offer Nuke Compositing on location, including hardware and software/licenses. Of course vi sign NDA when needed and all file transfers are encrypted with no intermediate storage in the cloud. Again, we wish you a prosperous 2017 and hope to be able to help you produce top notch visual effects! Lassemajas Detective Bureau is a Swedish children book about two kids solving crimes in the fictive town of Valleby. 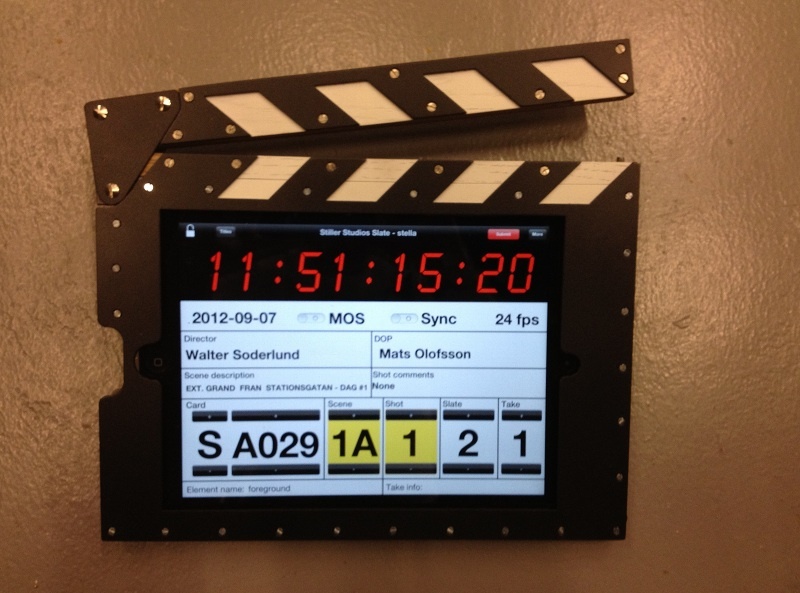 Three films were shot at Stiller Studios Lidingö during 2011-2012, 100% Motion Control:ed and in a greenscreen studio. Madcrew 3D created the Valleby world using SolidAngle Arnold for Maya and post production took place at Storm Studios and Svensk Filmindustri’s premises by supervision from Fredrik Pihl and Torbjörn Olsson. HDR AB/Henrik Norin developed the automated Motion Control shoot pipeline together with Olle Westbergh and Tomas Tjernberg at Stiller Studios. HDR/Henrik Norin also programmed the post production pipeline for Svensk Filmindustri incorporating a whole new camera based shot workflow invented by Fredrik Pihl. This setup combined with scrumming boosted the shot completion rate many times over, it also allowed for seamless import of new edits in the middle of production with minimum downtime. Just recently finished a Scratch VFX render import script for Chimney Pot Stockholm office. If new versions of renders exists on disk, timeline shot(s) are cloned pointed at new files and put in focus for playback/compare. 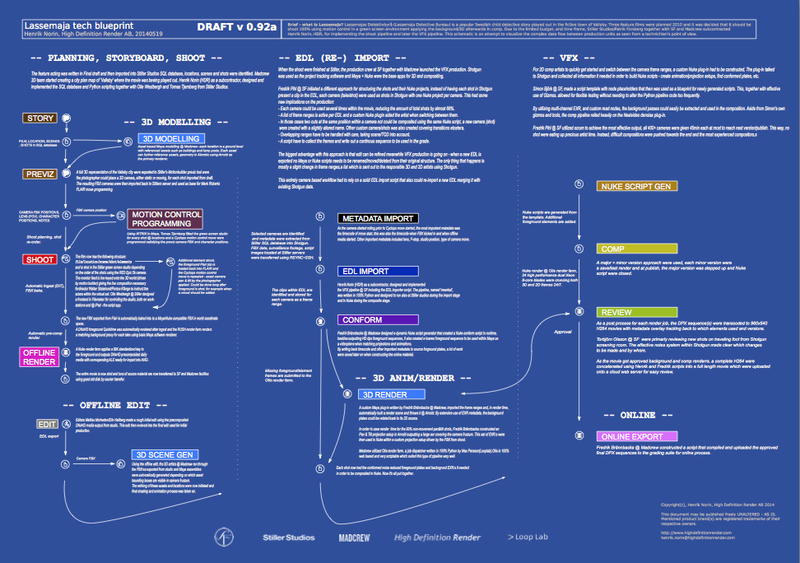 Our next step is to make Scratch talk to Shotgun for film metadata roundtripping. During 2011 and 2012, our main focus has been on implementing a complete digital recording pipeline for Stiller Studios at Lindingö, Sweden. With a feature film draft as input, the green screen studio shooting is made almost 100% automatic and at the end of the day the pre-composited offline media is ready to be delivered together with 5k raw source media. Python has been the the main choice for writing the pipeline, Maya® plug-ins and other glue scripts which together are responsible for farming about 10+ computers and 15 apps in near real time. Our online renderfarm RenderNet has now grown to a fully managed/automated service, still offering the personal support from workflow setup down to the final render process. We are also celebrating 2 year anniversary by introducing 16 new render nodes, based on our own overclocked workstation “TheodenII” each equivalent to a 12(24)-core Xeon system. This makes our farm exceed 1000 cores of raw render power! If that were not enough, our prices has been cut by 33%. We are looking forward to a new existing render year! 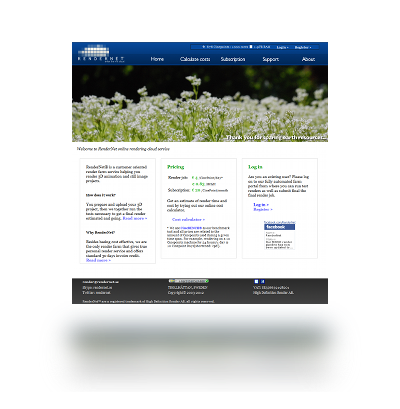 Information about our IT support services and hardware products has now been added to our homepage. 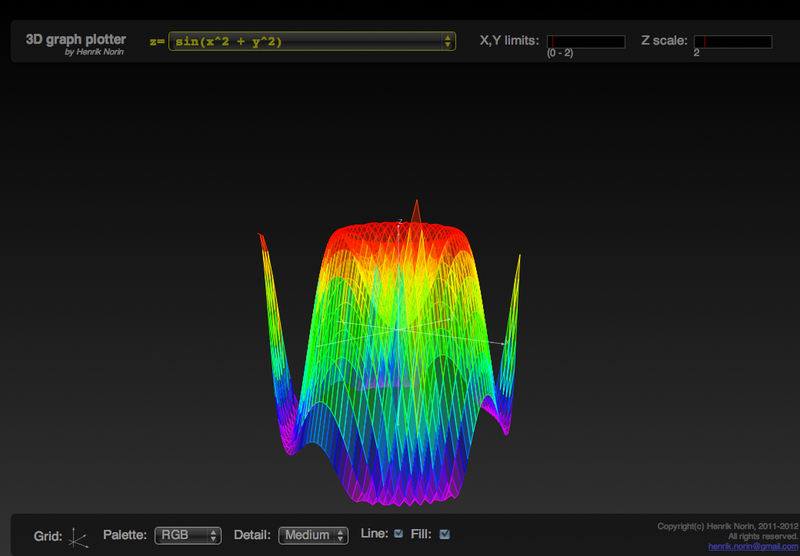 Needing help finding the most optimized setup for your visual effects productions? We provide all the tools you need such as custom hardware, tailor made software and scripts, render farms, storage, network planning and backup. Have a look at our custom built workstations, render nodes and file servers here..
Technical design studio Pet Factory, located in Gothenburg area, consulted us to design, build and deliver their new small render farm/fileserver setup. The solution is 100% based on our own custom build servers, render nodes and software – same as used in our 24/7 RenderNet render cloud service. Shortly, we will announce the hardware here so anyone can have a look at the specs and prices offered by us. The RenderNet homepage has now been improved and we are proud to present our updated subscription service – get dedicated access to a part of our online render farm. We also now offer our rendering hardware to rent within the nordic countries. Filmgate VFX in Gothenburg has always been working with demanding digital productions that requires optimized hardware. HDR has been given the mission to upgrade existing workstations to the latest Core i7 technology and supply new workstations/render nodes. Twitter: rendernet Copyright© 2003-2012 High Definition Render AB. RenderNet™ and FXCluster™ are a registered trademarks of High Definition Render AB, all rights reserved.